The success of any enterprise depends to a major extent on its location, consumer friendly shopping environment and comfort levels offered. Sumo Sapphire is located at a vantage point suitable for any kind of business venture and hence a more safer bet to bank upon for your investment. 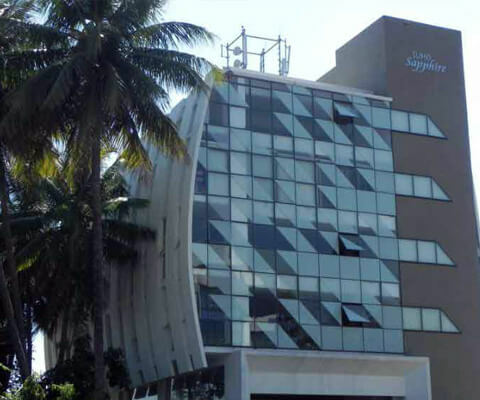 Sumo Sapphire is an imposing structure of Show Room / office space in a posh locality with carefully planned, systematically executed with all modern amenities, on a ready to occupy concept. The place where many of business units thrive on, buzzing with activity doing uninterrupted business like South Bangalore. The affluent and average buyers alike, itching for impulsive purchase are also part of customers. Just a walkable from Brigade Millennium and Elita Promande a huge residential town ships which promise steady flow of customers. Sumo Sapphire, beckoning you for a business opportunity, also providing an identity of class and an address of repute you would ever wanted to have. Sumo Sapphire facilities and amenities of all kinds. A glance at a few astonishing features will pep up your spirit for a straight deal.